I just got this mail from the secretary of Prophet Joshua Iginla of Champions Royal Assembly, Abuja. 1-Nigeria will rise again and the future of Nigeria will be restored. And her image n dignity shall be restored. In my vision, I saw a group of young men wearing boots preparing and when I asked God he said it's the future of the next generation that are coming to take over 2024. 2-Many politicians will go to jail in 2016 due to the anti corrupt campaign by the president. It will gain more ground and a lot of money recovered and a lot of mystery unveiled. 4-I see a commercial bank having a major problem that will affect it's capacity and output. The policy of the regulatory body will be too much for her and it will fold down. 6-I see the CBN governor facing a hard time and I see him being removed..
9-Bayelsa! The incumbent governor should pray well to retain it because what I see is a mystery beyond explanation. 10-Rivers State. I see strong battle and contest with Inconclusive result. I see violence and tension. I see property burnt and protest and name calling but the person on the seat shall retain it. 11-Edo. I see the ruling party still retaining power. I see a strong contest but the ruling party will swallow the opponent. 17-The Biafra agitation will become very strong if the government don't handle it with wisdom. It will give the government of the day a bad name before the international committee and observers. It might be stronger than the issue of Boko Haram. Wisdom is needed. That's what the Lord says. Else, it can bring the government of the day to her kneels. 20-I see a new party coming out of the old party. They will rebrand and become a strong opposition force challenging the government of the day and discrediting it. . This new government should pray. 22-We should pray for one of our ex-president because I see him packing his bag and leaving us. Don't forget I said it last year but God is giving him grace but am seeing it again. Take good care of yourself and spend more time to watch your enemies that are around you than those afar. That's the message for the president. There are Judases around him and are ready to finish their assignments. Watch your house because the enemy is too close than he thinks. 26- I see a sitting governor whose seats becomes vacant for the vice to take over. I don't understand of its as a result of DEATH, impeachment or court order. 27-Zambia. The economy will improve but not as expected. The election in Zambia will be will be like two lions fighting. The president should pray in terms of the election because I see betrayals from his camp and so called faithfuls. But in my vision, I see someone trying to pull him from his seat, yet he remain in the seat. 29-Mega churches will rise up in the nation of Zambia. God said he is raising up strong prophets in Zambia. I see a great prophet rising up in the kitwe pray against mass protest that will be sponsored by distractors against the government of the day. 31-Zimbabwe. There will be a great revival that will flow through out Africa - West, East and South. 32-God said I should warn some people trying to thwart the wheel of progress in Zimbabwe because their own time will come naturally. It's not yet their time and there is nothing they can do about it. 33-I see a rain fall spiritually non stop in the nation of Zimbabwe and something like ice block in form of a star and God said it's a sign of continuous blessing and flow of revival both economically and spiritually. 34-I see a major stampede in a major program that will be held by a major man of God in the country of Zambia. It will claim lives. The prophetic advise is that the prophet should work on his crowd control unit so that he won't be accused of using people for rituals while his hands are clean. 35-Tanzania.. The Lord said their season has come I see the new leader maximising the resources and changing the destiny of the country. I see the economy blossoming and I see a lot of corrupt leaders and people who have been a distraction to the government being brought to book. 37-Cameroon - I see the bombing and battle against Boko Haram being conquered. I see a revolution and agitation against the current government taking place the government should be sensitive. I see restlessness among the youth. I was taking in the realm of the spirit and I see a fire outbreak in one of the major sensitive markets in Cameroon. 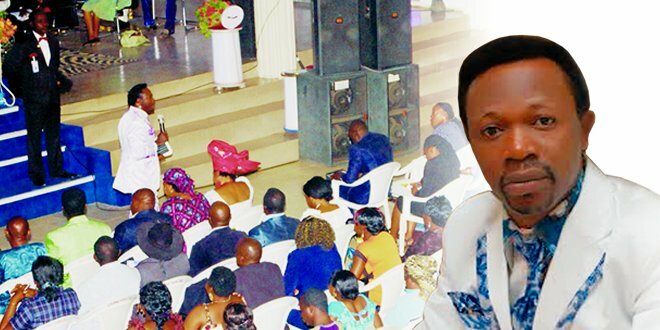 God is raising four major prophets in Cameroon in Duala , Limbe, kumba. The president should pray for his health. 38-Ethiopia. I see the agricultural sector experiencing boom. They should pray for sufficient rainfall. They should pray against poor rainfall because I see drought. There will be strong economic challenge an important figure who has handled an important position in the nation will pack his bag and say good bye to the country. He is already struggling with his health. I see a massive revival that will spring up in the country of Ethiopia. 39-Russia I see them under pressure as a result of the policies and attack that is currently going on. And it will affect their economy strongly. I see them trying to make peace with the country they are not willing to make peace with in order to free themselves from pressure. I see a big Bird flying out of Russia defecating where they ought not to and it caused a lot of confusion. It's like plane throwing bombs. I see the nation of Russia going to war with another nation and they have to pray to avert it. 40-USA: I see an adjustment in the election time table and this will lead to accusations of the government of the day After Obama's tenure, it will be 2044 before another black man can ascend the seat of presidency. I see terrorist attack that will be carry out. I see sporadic shooting and ISIS claiming responsibility. This will happen just like it did in France. I see three people who are at the center of this and I see them being captured while two will be killed. But lives will be lost. I see a popular celebrity that will pass on in the country of America. This person's name has to do with O and W. I see an important personality committing suicide as a result of frustration. The election of America in 2016 will be tough. I see the Democrat holding ground stronger and stronger. 41-Ghana: I see a robust economy and the Democrats still holding on to the seat in the election. The ruling party will retain the power. Ghana should pray against place crash. It looks like an helicopter. I see a famous footballer packing his bag and saying goodbye. He is already having a kidney problem. He needs prayers between the month of April till October. The president should watch and pray because there are more enemies than friends. 42-Puerto rico. I see a major earthquake between April and September. I see a famous celebrity saying goodbye in the month of June. It a female. The ruling party will hold on to power in the election. 43-South Africa. The president will so much go through a lot of persecution m I see trials and accusations. The economy will be so much attack and won't go well as it used to be. But the hands of God is upon them because a great revival will sail through the land. They have to pray about their water because I see scarcity of water withing the specific month. A major king will die. The church in south africa should pray because I see string attack and persecution against the church. It will be so strong. Peru. The economy will grow stronger. I see a key politician being poisoned before the election. And I see the ruling power still holding on to power in the election.